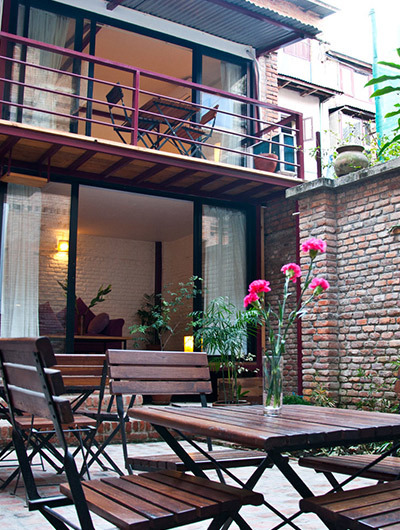 Himalayan Deurali Resort is situated in the historical district, this hotel is within 16 mi (25 km) of Bindhyabasini Temple, Seti Gandaki, and Ratna Mandir. Mahendra Cave and Davis Falls are also within 20 mi (32 km). Along with a restaurant, this hotel has a bar/lounge and 24-hour room service. WiFi in public areas is free. Additionally, a business center, a meeting room, and concierge services are onsite. All 24 rooms offer free WiFi, furnished balconies or patios, and 24-hour room service. Other amenities available to guests include flat-screen TVs, premium bedding, and coffee makers. The Resort offers 24 rooms (Deluxe and Super Deluxe).The highlights of the room are the spacious private balcony where guests can enjoy. The most breathtaking views from the windows of their own room. The intention is traditional and simple yet stylish and elegant, Himalayan Deurali Resort & Spa comfortable accommodation, cozy ambiance delicious own organic farming food and the welcoming and gracious staff creates a true ‘comfort beyond the clouds’ experience. located at an aerial distance of 10 km from Fishtail (Machhapuchere Himal). Our property spread over 230 ropanis lands of an altitude of 1600m.